I offer you my prayers, works, joys, and suffering of this day in union with the Holy Sacrifice of the Mass throughout the world. I offer them for the intentions of our Bishops and of all Apostles of Prayer and in particular for those recommended by our Holy Father this month. Posted on September 23, 2011, in Catholicism. Bookmark the permalink. 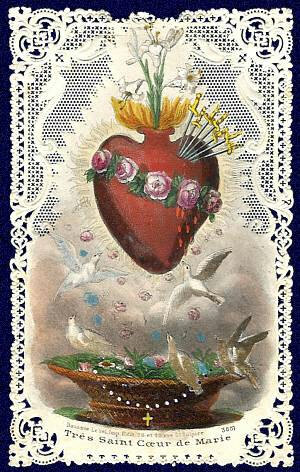 Comments Off on The Daily Offering to the Immaculate Heart of Mary.